After checking out of the hotel in Hisaronu, I walked out to the bus stop on the main road to get to the bus terminal in Fethiye town center. There weren’t any buses (dolmus) yet at the stop. So I walked a bit towards Fethiye and after a couple of hundred meters, this boy was also waiting for a vehicle to get to town. And he told me not to walk further from the stop or the minibus would not stop in-between stops. So this is important for Fethiye and the rules can vary at different locations in Turkey, but the mini-buses normally stop anywhere along the road in other towns. I’m glad the boy was there or I could have easily missed my bus to Aydin (main city center to change buses for Kusadasi). Dolmuş was there after a few minutes and we got on the road. It took us fifteen minutes to get to Fethiye Bus Terminal from Hisaronu – Ovacik. I had booked my seat on the internet a few days prior in a large “Pamukkale Seyahat” bus. Pamukkale is one of the major bus companies in Turkey. The ticket was not really cheap, cost something like 45 liras to Aydın but I had a large single seat, almost like a business class seat. If you’re familiar with transportation in Turkey, intercity buses are often great. And there are also a few airline companies, creating enough competition for you to get cheap flights pretty much any time of the year, especially if you purchase your ticket beforehand. I can’t really tell how much before but it depends on the destination, time of the year and other factors. The bus was on time and was very comfortable, with an entertainment display and wireless internet and we were even served snacks twice. We only had a single pause at Mugla City Terminal for half an hour. Mugla is the center of the Mugla Province that covers famous holiday resorts like Fethiye, Oludeniz, Marmaris, Akyaka, Gocek, Dalyan, Koycegiz and Bodrum Peninsula. As far as I’m aware Mugla City is smaller than both Bodrum and Fethiye. 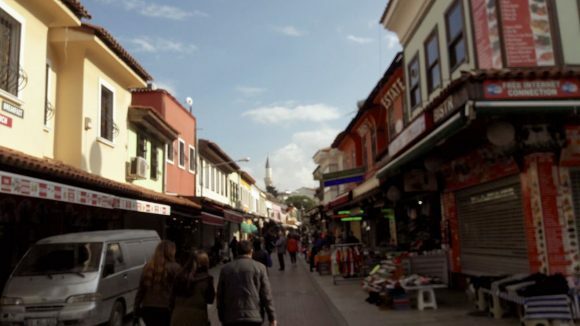 And although it looked all right, it is not really a touristy town except for an old center with ancient Mugla houses and shopping areas. After Dalaman town, where the airport that serves the whole province is located, we passed near Marmaris and Akyaka along the beautiful winding roads. This is a very lush and mountainous area and the landscape as you look back from the top of the hill as you’re driving, to the valleys is simply breathtaking. It gave me the feeling of being in the “Lord of the Rings” movie set. Most of Mugla province is amazing to look at and is one of my favorite parts of the world- I can easily put it in top 5. 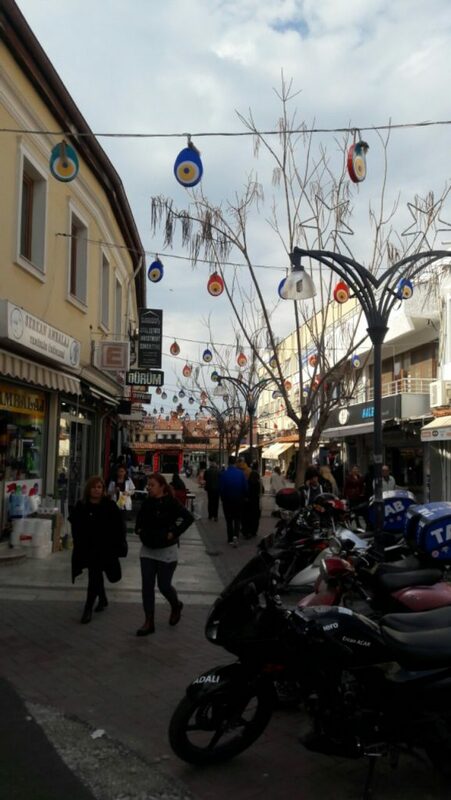 Mugla center is OK too but just does not offer a lot for the tourists. Mugla is a bit like the smaller Anatolian cities, only a bit nicer, cleaner and more organized than some. I didn’t get the chance to visit the old town. After Muğla, the landscape and the sceneries changed completely as we were heading towards Aydin. 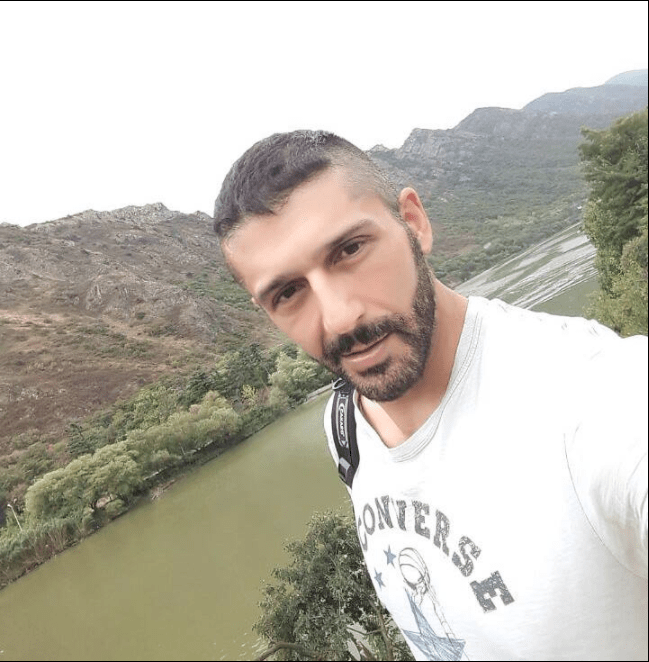 I was seeing more of different rock formations and hills, lakes and dams and a lot of olive trees that are common to northern Aegean. We arrived Aydin bus terminal in less than two hours. Like anywhere in Turkey, Aydin has grown a lot over the years and seems to have a very large and modern terminal. After I got out of the bus and collected my luggage, I went straight down to the Kusadasi minibus at one level below. The reason for me to get to Aydin was because there wasn’t any direct transport from Fethiye to Kusadasi that time of the year. This may also be the case in summer according to the information I got from people on Tripadvisor, but I may be wrong. You may please want to double check that. So you need to get to Aydin in a bus and change there to a minibus one level below in Aydin Bus Terminal “Otogar”. This is not hard at all, as mini-buses are quite frequent between Aydin and Kusadasi and the journey takes about an hour. The minibus was also rather comfortable and it cost 8 Turkish liras. You do have another option if you will be stopping at Aydin or if you wish to check out the city center. As Kusadasi is a part of the Aydin province, there are inner city public buses that depart from Adnan Menderes University and go via the main streets of Aydin City Centre. It costs around 5 to 6 liras but the difference is not really worth it if you do not intend to see the city center. Quite frankly, there is not much to see in Aydin either, it is just a typical Turkish city center with not much beauty. I had to wait only for two minutes or so for the minibus to depart and we passed through large towns like Germencik, Incirliova, Ortaklar, Camlik and finally Kusadasi through the pine forests and olive trees. The locals of the province and Izmir people abbreviate the name Kusadasi to Ada, and the expats tend to call it Kush (which means “bird” in Turkish and Kusadasi is Bird Island). Aydin has many fertile fields and there is certainly a bit of money and wealthy people here, as compared to other parts of Turkey. 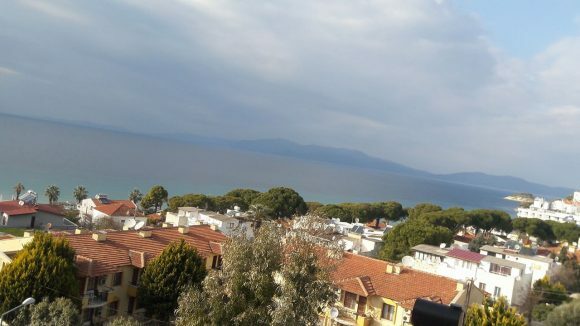 As far as I can see, many people from Aydın either have summer houses near Kuşadası or they actually live there permanently as it is a much prettier location by the sea, and with a lot around it. And the landscape was very beautiful again, till we got to Kusadasi. As soon as we arrived in Kusadasi town center, I realized how much concrete there was. Just like Fethiye, Kusadasi is also so much bigger than it was 10 to 15 years ago when I had visited back then, to get to the Greek Island Samos and back. Samos is just a few miles away off the coast of Kusadasi and there are daily ferries back and forth. 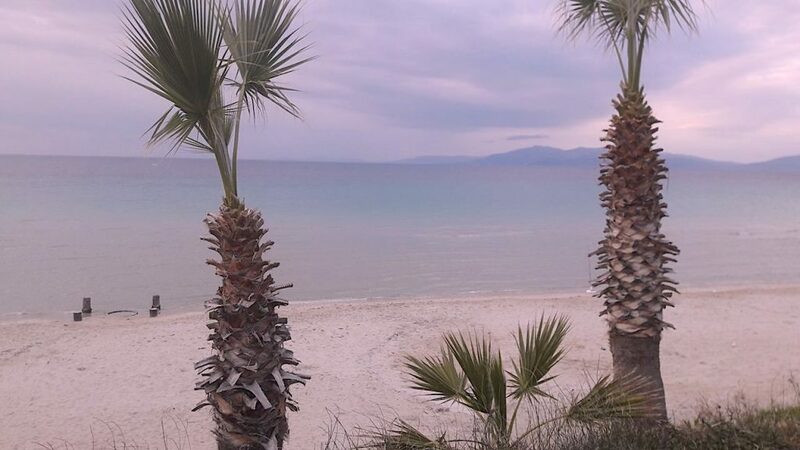 Kusadasi used to be a very popular holiday resort by the wealthier Dutch, Germans and British, as it was quite a beautiful, green and unspoiled spot with great nightlife and so much to offer. The impression I got was it looked like little Izmir. But don’t get me wrong, Kusadasi nowadays is a very happening place with lots of people, nightlife and entertainment throughout the year. And the main bazaar seemed quite lively and busy when I got off the bus. I had a hotel booking in Ladies’ Beach area, which is about two to three km away. Dolmuş or minibusses operate regularly all year or you can just walk it if you do not have any luggage. Please keep in mind that Kusadasi is not flat and you will be walking up and down the hilly roads. I took the minibus and within less than ten minutes I was in front of my hotel and I checked in. The “Blue Sea Hotel and Spa” is a four-star hotel but obviously, it falls at the lower end of the four-star spectrum. 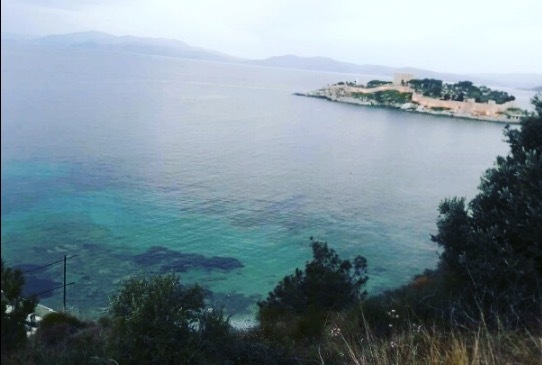 I got a very cheap rate for bed and breakfast on Alpharooms.com for a room with full sea view (less than ten dollars a night). The lady at the reception was quite nice, though, calling me “sir” and stuff. But I had a couple of problems in the room, such as the hot water and heating problem the first night. There was basically no hot water in the room unless I called the reception then they would turn on the water and it was barely warm, just enough to have a shave or shower. I had to call them again for proper hot water so they activate the second system. The weather was kind of cold the first night and I relied on the air conditioner for heating the large room and the room wasn’t warm enough. The balcony floor was dusty and it would get dirty with the water dripping from the air con. 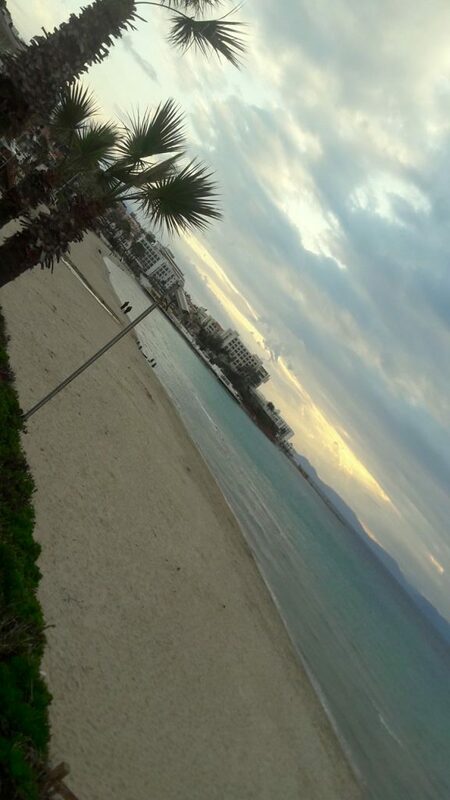 Having said that, the room was very big, clean and comfortable and had a balcony overlooking the Ladies Beach neighborhood and the Aegean Sea. The view wasn’t bad at all and the breakfast was pretty good. And the problems I encountered were mostly because of the time of the year, and I believe I was pretty much the only customer at the hotel. I still got pretty good value for how much I paid. Would I stay again? Yes probably if no other alternatives at the price range. It is still a pretty decent hotel, just not a real four star. Next story What’s Kusadasi Like?